The Apostle Paul writes a letter to his fellow Believer, Philemon, whose slave Onesimus had run away. In their ancient culture runaway slaves were severely punished and even killed. 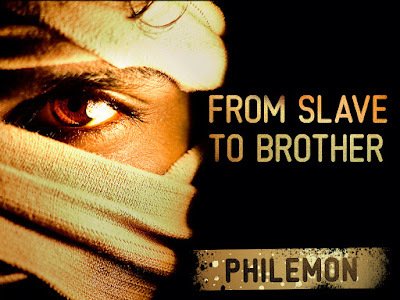 After running away, Onesimus crossed paths with Paul and heard and accepted the Gospel and now Paul is doing something incredible and asking for something even more incredible: he is having Onesimus return to Philemon as an appeal to grace and is asking Philemon to receive Onesimus no longer as a slave, but as a full-fledged brother in Christ.